Since I just realized I had three followers, I feel compelled to start blogging regularly now before I tend to things like layout and pictures. So this will be the first "real" post. 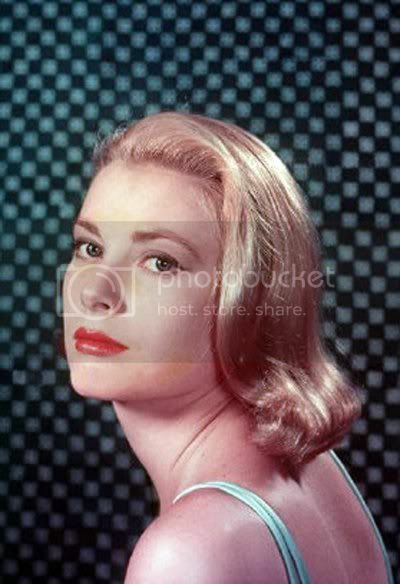 Among the numerous fashionably dressed women in Hollywood, Grace Kelly was one of the ones that really stood out. You can't get much more elegant than Grace. She was like Audrey Hepburn in the sense that she knew exactly what looked good on her own person, paired with her own personality. Things that looked classy on Grace would have looked average on other people and very often did. Her are some pictures and descriptions of different parts of her style and appearance. Her hair was rarely styled in an extreme triangular shape, poofy near the roots and increasing in volume with length. Styles with lots of voluminous, big hair were generally not her preferred coiffure. Instead, her hair was usually sleek and smooth and styled in an S shape. 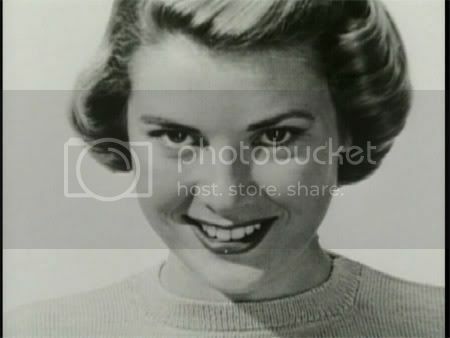 At the end of Dial M for Murder, her disheveled look illustrates how a sort of uncomplicated but meticulously groomed appearance was important to her style, ditto to a nice, if subtle, lipstick (also absent in this scene). 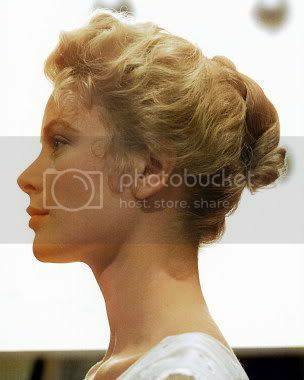 Her hair also looked nice curly, which made her seem more delicate (Vivien Leigh was the same way). Take note of her makeup in the next picture, an outdoorsy style, and her makeup in the picture after that, which is brighter and far more suited to electric lights. Because Grace was not a follower of trends and relied on simple basics, her look is very timeless. 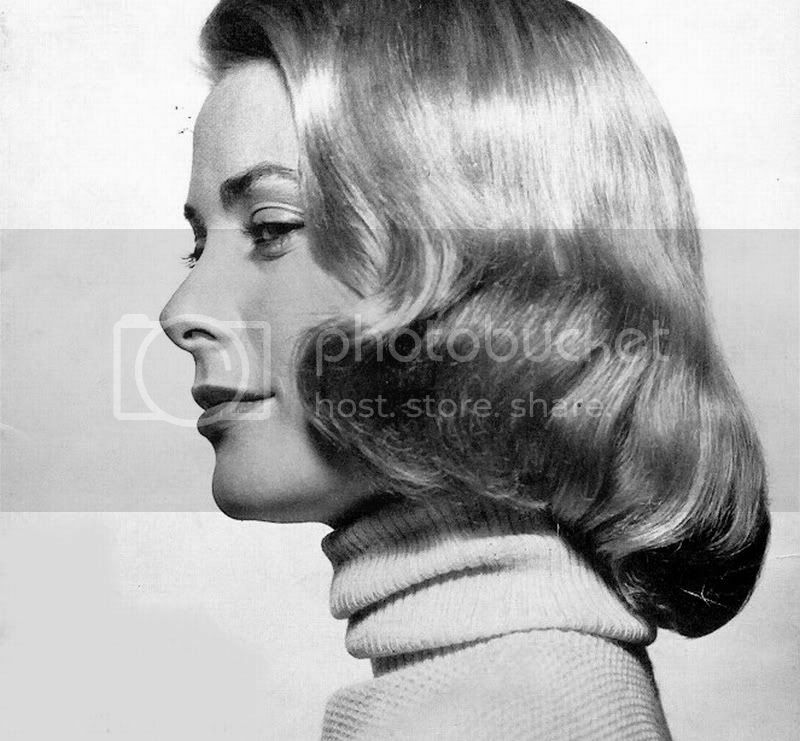 She was also consistent, so many of her pictures seem ageless and hard to date. I may be exceptionally bad at guessing ages, but to me she looks anywhere from a mature twenty to a young 39 (very young). The next Kelly installment, focused more on her clothing, is coming soon. There is just so much that can be said about this exquisite lady. And I refuse to apologize for being obsessessed. I will, however, apologize for any bad writing contained in the above post. I am still getting the hang of this blogging business.